So, you (or your clients) are concerned about potential liabilities and the threat of losing the nest egg you have worked so hard to create. You know you should do something to protect your wealth, so you go online, you meet with a few advisors, and you try to make sense of it all. It’s a daunting task. The domestic planning options are many, they are complicated, and they have one major drawback – they are inherently flawed as they are governed by US laws. Not wanting to subject yourself to the whims and caprices of US courts and juries, a prudent person may consider an offshore structure to benefit from the more favorable laws and more reliable judicial enforcement of select foreign jurisdictions. However, upon further review, you learn that the most commonly employed offshore tool – the offshore asset protection trust – while offering superior protection of your wealth, also has its own areas of concern. First, the trust is irrevocable. Second, by design, you have to give up control to a third-party trustee. Third, the trustee makes money by charging you fees – typically a percentage charge based on the value of your assets. Fourth, there are additional IRS filing requirements if you intend to report your structure in a compliant fashion. Fifth, you may have come across some troubling cases where settlors of an offshore trust have actually gone to jail for contempt of court when the foreign trustee refused to release assets and settle a US court claim. And lastly, given its tainted criminal history and portrayal in the mainstream media (anyone seen The Firm lately? ), for some the stigma tied to offshore trusts may be all it takes to thwart implementation. 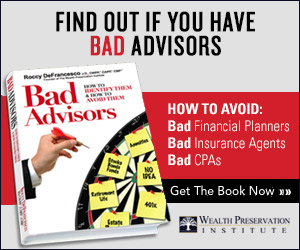 As a result, you, like many before you, are incapable of making an asset protection planning decision with confidence and you suffer from “paralysis by analysis”. Consequently, you do nothing – and there you sit, fully exposed. This, of course, is not your intended result. Is there a compromise that can offer a better solution? It turns out there is: enter the International Limited Liability Company. Until recently, LLCs didn’t exist either in the US or otherwise. Once LLC legislation was introduced in a few states in the US, this company form proliferated quickly. By the end of the 90s, all US states had enacted LLC legislation, in one form or another. Today, LLCs are the most flexible and sought after business form for client planning purposes. What is the appeal for asset protection purposes? This thing called a “Charging Order”. With more statutory certainty than its predecessor, the limited partnership, LLC statutes provide that a creditor of an LLC owner may not attach any assets of the company itself to settle a claim. Rather, the creditor may be limited to “charging” the “membership interest” of the “member” being sued. The Charging Order provides that the creditor can only receive assets to pay down a judgment if and only if the LLC makes profit distributions. As you can guess, the manager of the LLC (especially if it is the member being sued) is highly unlikely to ever make such a distribution to the creditor. Therefore, while the Charging Order holder may have a right to payment, the Charging Order holder is unlikely to collect when no distributions are ever made. In addition, many practitioners argue that the predicament of the Charging Order holder can become even more unattractive if the LLC actually generates a profit. Based on prior IRS rulings, certain statutory provisions, and sophisticated drafting by lawyers, a position can be taken that the Charging Order holder should receive the sued member’s income allocation (known as the “K-1”) for tax purposes. If effective, the result is the creditor, while not receiving any distributions of such profits, could actually be forced to pay the taxes of the very member the creditor sued in the first place. Not surprisingly, this double-whammy makes a Charging Order particularly unappealing. As with any business entity statute, the various state laws can differ wildly and states actually “compete” to provide enhancements to make their respective statutes more attractive than others. At present the top LLC planning jurisdictions in the US are: Alaska, Arizona, Nevada, and Delaware, given their attempts to clarify that the Charging Order is the sole and exclusive remedy of any creditor. The drawback to these statutes, as previously mentioned, is that they are all necessarily governed by the US courts. Therefore, as we saw in the Albright case in Colorado (a single-member LLC case), the court may find instances, in its opinion, where a Charging Order is inappropriate, and it may allow the assets of the LLC to be attached directly. Will your case ultimately prove to be one of these instances? No one knows – and that’s the uncertainty that can make a US LLC suspect as an asset protection tool. To read the Albright case, please click here. As was seen in the offshore trust arena, international jurisdictions are now stepping in to provide high net worth clients with a more reliable LLC solution. Through statutory enhancements and greater judicial certainty in enforcement, clients can plan more confidently with certain international LLCs than with their US counterparts. As of this writing, two jurisdictions offer meaningful LLC legislation for this purpose – Nevis and Anguilla. Both have progressive statutes in this regard, but Anguilla has created a subtle, but compelling nuance in its legislation. When referring to a Charging Order in the statute, it expressly provides that a court may only charge the “economic interest” of a member, making it clear that the creditor has no right to vote, participate, or otherwise enforce rights tied to a “membership interest” in an LLC. All other LLC statutes (including Nevis) state that a creditor may charge a member’s “membership interest” – leaving the possibility for court interpretation to go beyond a mere economic interest. As a result, Anguilla not only offers the best drafting with respect to asset protection provisions of a Charging Order in an LLC, it also provides the greater enforcement reliability of a non-US jurisdiction. As such, Anguilla is currently the author’s preferred jurisdiction for an LLC designed to protect your wealth. 7) They are cheaper than offshore trusts to create and maintain. Therefore, for those of you who are stuck in the asset protection planning quandary that so many face, consider an LLC as your solution, and an international LLC at that. Short of an offshore trust, it should provide you with the most effective asset protection tool today, without the anxiety.